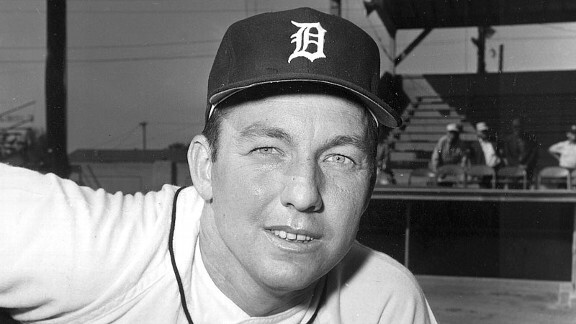 Kaline matched offense (3,007 hits, 399 HRs, 1,583 RBIs) with outstanding defense -- .987 career fielding percentage, including an errorless season in 1971 (part of a 242-game errorless streak from 1970-72). He hit .379 with two homers against the Cardinals in the '68 World Series. In 1955, the great Ted Williams proclaimed, "In my book, he's the greatest right-handed hitter in the league."